Richard II – History… the interesting bits! As a child he was given his own suit of armour; in 1346, at the age of 16, he helped defeat the French at Crécy; and in 1356 he captured the King of France at Poitiers. For the chronicler Jean Froissart, ‘He was the flower of all chivalry’; for the Chandos Herald, who fought with him, he was ‘the embodiment of all valour’. Edward of Woodstock, eldest son and heir of Edward III of England, better known as ‘the Black Prince’, was England’s pre-eminent military leader during the first phase of the Hundred Years War. Michael Jones uses contemporary chronicles and documentary material, including the Prince’s own letters and those of his closest followers, to tell the tale of an authentic English hero and to paint a memorable portrait of warfare and society in the tumultuous fourteenth century. The Black Prince by Michael Jones is a wonderful, comprehensive biography of one of the most controversial chivalric figures of history. At first sight Edward of Woodstock, oldest son of Edward III, appears to have been born for war. His childhood, education and experience were all geared to him following in his father’s footsteps and waging war on France. Michael Jones, however, looks deeper into this enigmatic prince; and finds a prince who did, in fact, build his household, his career, indeed almost every aspect of his life, around success on the battlefield; but he was also a pleasure-loving Prince and one of the few from his time who married for love. This biography is a fascinating read from the very first words. Michael Jones has a knack of drawing the reader in. He is so invested in his subject and has such a natural enthusiasm that it is impossible to put the book down. Every aspect of the Black Prince’s life is discussed, explained and analysed, revealing the Prince, the son, the husband, father and the soldier behind the armour. The Prince’s martial exploits were the stuff of legend in his own lifetime. On 26 August 1346, at the age of sixteen, he fought heroically with his father in an army that crushed the French at Crécy. Ten years later, on 19 September 1356, by now a commander in his own right, he turned the tales on his numerically superior opponent, capturing King John II of France in battle at Poitiers, one of the great English victories of the Hundred Years War. In 1362, he became prince of Aquitaine, holding a magnificent court at Bordeaux that mesmerised the brave but unruly Gascon nobility and drew them like moths to the flame of his cause. Michael Jones has an easy way of writing and addressing his readers without being condescending or too high brow. He presents his subject in a balanced, analytical manner but it is hard not to admire this English prince who became one of his country’s greatest heroes – even in his own lifetime. The author does not shy away, however, from the controversial aspects of the Black Prince’s military career, placing the chevauchée across France firmly in its historical context and presenting the true facts to the sack of Limoges, where he is accused of killing 3,000 citizens, a crime that has been highly exaggerated and which the Black Prince certainly does not deserve to have attached to his name. The Black Prince is a fascinating insight into the greatest king England never had. It is also a portrait of the times in which he lived. Michael Jones does not present the Prince as living in a bubble and makes certain of highlighting the influences and people around him. These are discussed in great detail, from his loyal retainers, soldiers who were pardoned for crimes in England so they could fight abroad, to his extravagances and money woes. An interesting aspect of the book deals with the extent of his father’s influence on his career and decisions. The Black Prince’s life was, as with most Princes of royal blood, to a great extent dictated by the king, Edward III and the greater needs of England. Thus painting a portrait of a man who was guided by duty and responsibility throughout his life and career. … in his prime, the Black Prince created a world of heroic enchantment for those around him, one that did not simply depend on personal charm and bravery. He won over the tough and independent-minded, both in Cheshire and in Gascony, not so much by living a chivalric life as by fully embodying it. Making use of primary sources, Michael Jones has recreated every aspect of the Black Prince’s life – and death – from his early childhood, through his martial training and experiences, his marriage to Joan of Kent, to his not-always-successful rule in Aquitaine, the birth of his sons and campaigns on behalf of Pedro the Cruel in Spain and finally to his tragic early death. This very personal account of the Black Prince’s life and achievements, successes and failures, draws from the great chroniclers of the day, from the likes of Froissart and the Chandos Herald; giving the reader a full and accurate picture of the Prince and the man, from friends and enemies alike. The Black Prince is at its best when presenting the Prince as a man, discussing his reputation as an exemplar of chivalry, a general without peer and, alongside his wife, the most glamorous couple of their time. It paints a picture of a prince who appreciates the value of pomp and ceremony as a diplomatic tool. In short, this book is a must for any lover of the era or the man. 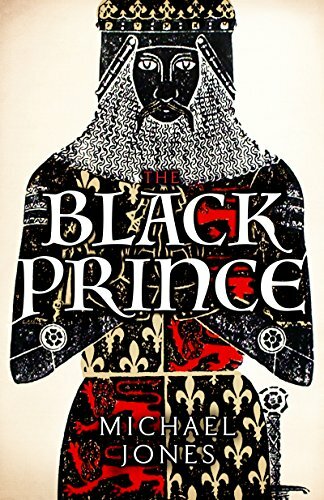 A thorough account of the Black Prince’s life, Michael Jones does not shy away from criticising his subject, but does not attempt to impose 21st century values on a 14th century prince. Enjoyable, entertaining and engaging, this new biography is a wonderful insight into a world now lost and a man who never achieved his destiny – to be king. The Black Prince by Michael Jones is available from Amazon. Michael Jones is a fellow of the Royal Historical Society and member of the British Commission for Military History. He works as a writer, battlefield tour guide and media presenter. He is the author of Bosworth 1485: Psychology of a Battle, 24 Hours at Agincourt and co-author, with Philippa Gregory and David Baldwin, of The Women of the Cousins’ War; and, with Philippa Langley, of The King’s Grave: The Search for Richard III. He lives in South London. 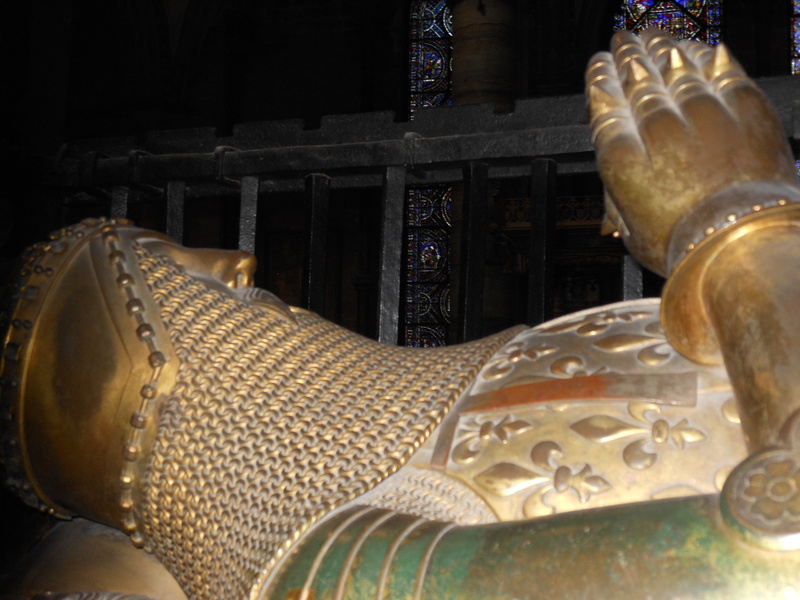 Photos of the Black Prince’s tomb in Canterbury Cathedral ©2015 Sharon Bennett Connolly. My book, Heroines of the Medieval World, is now available in hardback in the UK from both Amberley Publishing and Amazon UK and worldwide from Book Depository. It is also available on Kindle in both the UK and USA and will be available in Hardback from Amazon US from 1 May 2018. You can be the first to read new articles by clicking the ‘Follow’ button, liking our Facebook page or joining me on Twitter. Having recently written about William Montagu, 2nd Earl of Salisbury and husband of Joan of Kent, I thought it only fair to write an article on William’s love rival, Thomas Holland. The 2nd son of Robert Holland, Lord Holland of Upholland, Lancashire, Thomas was born around 1315 and grew up to be quite a renowned soldier. His mother was Maud, daughter and co-heiress of Alan Zouche, Lord Zouche of Ashby. Thomas grew up with 3 brothers and 3 sisters. His older brother, Robert, succeeded to the Holland estates and resided at Thorpe Waterville in Northamptonshire. Thomas’s 2 younger brothers, Alan and Otto, followed their brother into military service, and are often noted as having accompanied him on campaign. The number of sisters seems to be confused; some sources put it at 5, while others mention only 3. Of the 3 known sisters the eldest, Isabella, became the mistress of John de Warenne, 7th Earl of Surrey who had married to Edward II’s cousin, Joan of Bar. Another sister, Margaret, died in 1349 and had been married to John de la Warr, while the last, Matilda or Maud, had been the wife of John (II) Mowbray, Lord Mowbray. 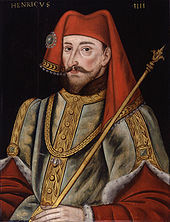 Thomas Holland’s father had been a chief supporter of Thomas, Earl of Lancaster, who had attempted to curb the malevolent influence of Hugh le Despener the Younger on King Edward II and, by extension, the country. Holland, however, turned his coat at the last-minute and joined the king’s faction just months before Lancaster was defeated at the Battle of Boroughbridge in 1322. Lancaster was executed but Robert Holland did not get the reward he was probably expecting; he was imprisoned, with his lands confiscated. It was only in 1327, after Edward II’s deposition and the accession of Edward III, that Holland’s lands were restored. However, in October 1328 Robert Holland was murdered in Borehamwood, Hertfordshire, probably by supporters of the new Earl of Lancaster, Thomas’s brother Henry. A landless young knight, and the son of a disgraced lord, Thomas Holland had very little going for him when he started his soldiering career, probably in Scotland in the early 1330s. However, as the 1330s progressed he was making a reputation as an able soldier. In 1337 he was fighting in Bordeaux with Robert d’Artois, but by 1338 he was a knight of the royal household; serving in Flanders the following year and at Sluys in 1340. In 1339 Thomas managed to pull off the marriage coup of the century – but no one was to know about it for 10 years. At the age of 24 Thomas married 11-year-old Joan Plantagenet, daughter of Edmund, earl of Kent, granddaughter of Edward I and cousin of King Edward III. Despite her family links, at the time of the marriage Joan was no great heiress; her brother was earl of Kent and it was only his death in 1352 and the earlier death-without-heirs of her maternal uncle, Thomas Lord Wake, in 1349, that made her a wealthy woman in her own right. Modern sensibilities will make us cringe at Joan’s tender age, but, although it was young even for the period an 11-year-old bride was not unheard of. We know, from Joan’s later testimony, that the marriage was consummated almost immediately; however, the couple did not settle down to marital bliss and Holland was soon on his travels. In 1341, while Holland was away crusading in Prussia, Joan’s mother, Margaret Wake, arranged an advantageous marriage for her daughter to William Montagu, 2nd earl of Salisbury. Whether Margaret knew about the extent of Joan’s relationship with Holland is uncertain – maybe she believed Joan was infatuated with the landless knight and hoped that marrying her to Montagu would cure the pre-teen of this puppy love? By February 1341 Joan and Montagu were married. Thomas Holland, however, didn’t appear to be in a rush to return to claim his wife; he spent the next few years campaigning in Europe. In 1342-3 he fought in Brittany with the king and was probably in Granada with the earl of Derby by 1343. In 1345 he was back in Brittany and was at the Siege of Caen in 1346; a battle in which Joan’s other husband, Montagu, may also have taken part – awkward! Holland played a prominent part in the Siege of Caen, capturing the Count of Eu, constable of France, who surrendered himself to Holland based on the knight’s chivalrous reputation. The count was then sold to Edward III for 80,000 florins, possibly making Holland very wealthy indeed (if he ever received the full balance owed). Thomas Holland’s eminence rose further during the 1346 Crecy campaign, seeing action at Amiens and Rouen; he was wounded at a castle on the Seine and commanded the rearguard on the march from Caen. Recognition of his exploits came from the King in 1348, when Holland was made one of the Founder Knights of the Order of the Garter. His brother and lieutenant, Otto, was also awarded with the same honour – as was William Montagu, earl of Salisbury and the ‘other’ husband of the fair Joan. Montagu was also, at this time, employing Thomas Holland as his steward – I wonder if Joan had had a hand in the appointment? Holland now found himself in a position to petition the papal court to confirm the validity of his marriage and have Joan returned to him. The inaugural Garter tournament on St George’s Day, 1349 must have caused great interest, seeing Joan’s current husband, the Earl of Salisbury, fighting on the king’s team, while Sir Thomas Holland was on the side of Prince Edward, the Black Prince (Joan’s future husband, just to make things more confusing). It is not hard to imagine the highly charged atmosphere, with Joan’s 2 husbands facing each other across the tournament field, with the object of their affection watching from the stands. If you’re wondering who Joan cheered for, my guess is Thomas Holland as, when called to testify to her marriage with Holland, Joan confirmed that, not only had she married Holland but the marriage had also been consummated. In November 1349 the court publicised the verdict; Joan’s marriage to Montagu was declared null and void and she was ordered to return to Holland. Holland’s fortunes were certainly on the rise, his wife restored to him, and with her brother’s death in 1352, Joan inherited estates in 16 counties, making Holland (by right of his wife) a lord of vast estates. His military career blossomed, he was given independent commands and in August 1352 was made Captain of Calais Castle; from 1354 he was summoned to parliament as Lord Holland. Joan and Sir Thomas Holland had 5 children together; 3 sons and 2 daughters. 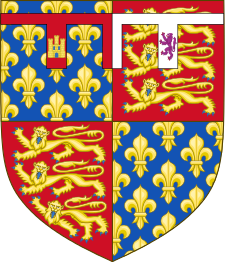 Their 1st son, Thomas, Earl of Kent, was born in 1350 and married Alice, the daughter of Richard FitzAlan, 10th Earl of Arundel; he died in 1397. Edmund was born in 1352 and died young. Their 3rd son, John, was created Duke of Exeter in 1397 by his younger brother, King Richard II. He married Elizabeth of Lancaster, daughter of John of Gaunt and Blanch of Lancaster, but was executed in 1400 for his involvement in a plot to assassinate Henry IV and return his brother to the throne. Of their daughters, Joan married John V, Duke of Brittany (who would marry Joanna of Navarre as his 2nd wife, the future queen-consort of Henry IV), but died in 1384. Their youngest child, Matilda, was born in 1359 and married twice; Sir Hugh de Courtenay, who died in 1377, and then Waleran of Luxembourg, Count of St Pol and Ligny. Matilda died in 1391. Thomas Holland’s military prestige continued to rise throughout the 1350s, with his appointment as the King’s lieutenant in Brittany in 1353-4, receiving funding from the local revenues. Thomas also had custody of the young heir to the duchy, John V, who was later married to the Holland’s daughter, Joan. In June 1356 Holland was appointed Keeper of the Channel Islands and tasked with the recovery of the Islands’ Castle Cornet, then in French hands; Holland’s brother, Otto, soon recaptured it for the English. In the subsequent years, Holland was placed in charge of various castles in Normandy; until October 1359 when he was appointed joint lieutenant of Normandy with Philip of Navarre. The apotheosis of Holland’s military career came in September 1360 when he was appointed the king’s captain and lieutenant in France and Normandy. It was at this time, also, that he was finally given the title earl of Kent – to bolster his authority and prestige among friends and enemies alike, in order to aid in his task of carrying out the provisions of the Treaty of Bretigny of October 1360. 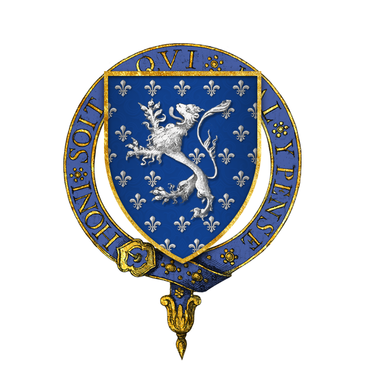 However, before this duty could be fulfilled, and at the height of his fame and prestige, Thomas Holland, earl of Kent, contracted an illness and died at Rouen on 26th December 1360. He was buried in the church of the Friars Minor at Rouen, but was later moved to the Church of the Greyfriars at Stamford in Lincolnshire. His widow, Joan, would marry Prince Edward, the Black Prince and heir of Edward III, in the following year and their son, Richard would be crowned in 1377 as King Richard II. Holland’s children by Joan would be half-siblings to the King of England. 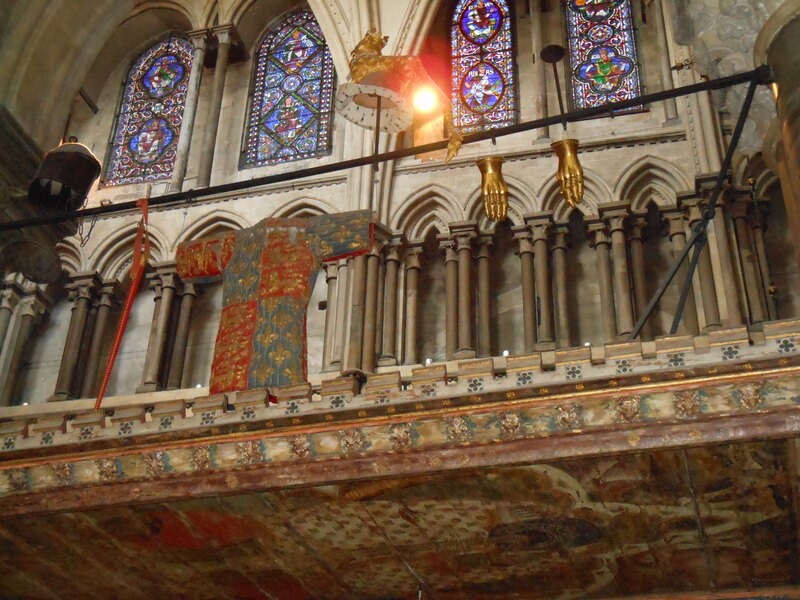 When Joan herself died in 1385 she chose to be buried beside her 1st husband in Lincolnshire, rather than with her prince in Canterbury Cathedral. Sources: The Perfect King, the Life of Edward III by Ian Mortimer; The Life and Time of Edward III by Paul Johnson; The Reign of Edward III by WM Ormrod; The Mammoth Book of British kings & Queens by Mike Ashley; Britain’s’ Royal Families, the Complete Genealogy by Alison Weir; Brewer’s British Royalty by David Williamson; The Plantagenets, the Kings Who Made Britain by Dan Jones; englishmonarchs.co.uk; The Oxford Companion to British History edited by John Cannon; Chronicles of the Age of Chivalry Edited by Elizabeth Hallam; oxforddnb.com; britannia.com; themcs.org. Tracing the fortunes of the women who had a significant role to play in the momentous events of 1066, Silk and the Sword: the Women of the Norman Conquest is available from Amazon UK, Amberley Publishing and Book Depository. It is scheduled for release in the US on 1 March 2019 and is available for pre-order from Amazon US. Telling the stories of some of the most incredible women from Medieval history, Heroines of the Medieval World, is now available in hardback in the UK from both Amberley Publishing and Amazon UK, in the US from Amazon US and worldwide from Book Depository. It will be released in paperback in the UK from 15 March 2019 and is available for pre-order on Amazon. Be the first to read new articles by clicking the ‘Follow’ button, liking our Facebook page or joining me on Twitter. 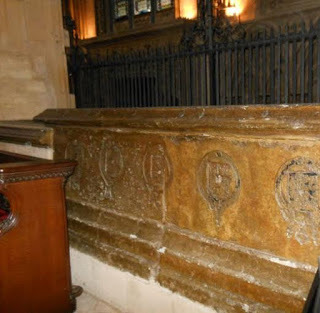 Born on the 28th June, 1328, at Donyatt in Somerset, William Montagu – or Montacute – was the son of William Montagu, 1st Earl of Salisbury and Katherine Grandison (died 1349), 3rd daughter of William Lord Grandison. Young William was the eldest of the couple’s 2 sons and 4 daughters. William Montagu was a friend and contemporary of Edward, the Black Prince, son and heir of Edward III, who was raised alongside William in the Salisbury household. Also among the young aristocrats in the care of the Earl of Salisbury was Joan of Kent, daughter and heir of Edmund, Earl of Kent. Before 10th February, 1341, young Montagu and Joan were married; a union arranged by the young couple’s parents and the King, Edward III, seeing as they were both only 12 years old at the time. Although it is possible Montagu and Joan lived together as husband and wife from the moment of their marriage, they were still very young and may well have delayed consummating the marriage for another year or so. It is more than likely that they carried on with their education, much the same as before, with Lady Joan learning how to manage a noble household and Montagu continuing his knightly training. On 30th January 1344, still only 15, Montagu became the 2nd Earl of Salisbury when his father died after receiving heavy bruising in the Windsor jousts. He was knighted at La Hogue, during the 1346 expedition to France, though whether this was by the King or the Prince of Wales seems to be in question. During the hostilities Montagu assisted in the Siege of Caen and may have been at the Battle of Crécy. 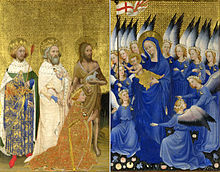 Following the successes of the French campaign, Montagu became one of the Founders of the Order of the Garter when it was created by Edward III in April 1348. However, in the following month poor Montagu became embroiled in the biggest bigamy scandal to hit medieval England, when Thomas Holland, Montagu’s steward and recently returned from crusading in Eastern Europe, petitioned the pope for the nullification of the marriage between Montagu and Joan, on the grounds of his prior marriage to Joan. William contested the annulment; after all, Joan was only 12 when he married her and Holland was claiming that his marriage to Joan had been consummated about 2 years earlier, making Joan 9 or 10 at the time. However, when it came time for Joan to testify, she supported Holland’s claims; the annulment was granted on 17th November 1349 and Joan returned to her 1st husband. Montagu wasted little time in finding himself another wife and married Elizabeth de Mohun shortly after the annulment had been granted. Elizabeth was the daughter of John, Lord Mohun of Dunster and, given that she was born around 1343, was only 6 or 7 at the time of the marriage. They would have one child, a son, William, who was born in 1361. No longer a minor, in 1349 William Montagu had made proof of his age and was given the livery of his lands, as Earl of Salisbury. His mother passed away in the same year and he succeeded to her dower lands. The 1350s saw Montagu pursuing a highly successful military career. In 1350 he had served at Winchelsea, which saw the defeat of the Castilian fleet. 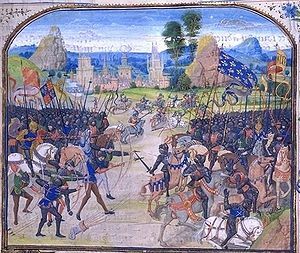 In 1356 he distinguished himself serving as commander of the rearguard, alongside the Earl of Suffolk, in the Black Prince’s march through southern France; however, it was Montagu alone who commanded the rearguard during English victory at the battle of Poitiers. Some sources credit Montagu with having chosen the English defensive position, along the gap of a hedge, which proved invaluable to the Black Prince’s forces. He defeated the 1st major French attack, led by the marshals, Clermont and d’Audenahm; Clermont was killed and the other leaders captured. 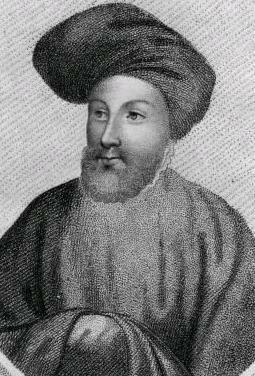 William Montagu saw more fighting with the king, Edward III, in his expedition of 1359, before taking part in the negotiations for the Treaty of Brétigny in 1360. 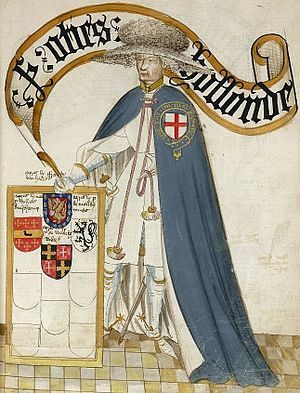 During the relative peace of the 1360s Montagu served as a justice of the peace, at various times, in Hampshire, Somerset and Devon; and he served on various commissions in Somerset and Devon. He was also embroiled in a legal dispute with the Mortimer earls of March over Denbigh, which had originally been a Mortimer possession, but was given to Montagu’s father for his part in the overthrow of Roger Mortimer in 1330. Montagu had done homage for it in 1353, but by 1355, due to his gaining royal favour, it was back in the hands of the Mortimer heir, Roger. The dispute rumbled on during the minority of the next Mortimer heir, Edmund, earl of March. Resolution was delayed even after Mortimer came of age, due to technicalities and Mortimer’s subsequent departure for duties in Ireland; where he died, and the Mortimer lands fell subject to yet another minority. By 1396 the earl of Salisbury was prepared to give the Mortimer’s a quitclaim, but this remained undelivered at William’s death and was left to his heir to resolve. By the late 1360s war had resumed and William Montagu was sent to Calais with the earl of Warwick, in a futile raid commanded by John of Gaunt, Duke of Lancaster. He was part of the king’s 1372 expedition to the relief of Thouars, which was forced to return to England due to unfavourable winds. In 1373 after commanding the English fleet which destroyed 7 Spanish ships in the harbour of St Malo, he relieved Brest; which had promised to yield if not relieved within 40 days. Negotiations ensued, thus avoiding a battle but enabling Montagu to resupply Brest and prevent its capture. Still fighting the French, in 1377 Montagu served alongside the Earl of Arundel in a raid around la Rochelle, but was beaten off by local forces. By 1379, following the accession of Richard II, he was serving as Captain of Calais when he captured and burned the French fortified monastery of Beaulieu. Montagu must have wondered at the strange twist of fate that had him serving a king, Richard II, who just happened to be the son of his 1st wife, Joan of Kent, and his childhood companion, Edward, the Black Prince. On a personal front, 1378 had seen the marriage of Montagu’s son and heir, another William, to Elizabeth Fitzalan, daughter of the earl’s companion in arms Richard, Earl of Arundel. Their happiness was short-lived, however, when William died after only 4 years of marriage. In a tragedy that must have rocked Montagu to the core, on 6th August 1382 at Windsor, young William was killed in a tilting match by his own father, the earl. It must have been a horrendous scene to behold. In the same year, 1382, Montagu had become involved in a legal dispute with his younger brother, John, concerning a statute merchant whose conditions were violated by John. The proceedings would rumble on and on; although a court of chivalry was established, with John Montagu being steward of the king’s household, no one was in a hurry to pronounce judgement on him. The case was not settled until after John’s death in 1390 and John’s son surrendered the disputed statute merchant in 1391. The family disputes appear to have prevented Montagu from playing a major role in the reign of Richard II, as you might expect from the earl of Salisbury. He is thought to have stayed with the king throughout the Peasants Revolt of June 1381, and advised Richard II to show mercy to the rebels. Loyalty to the crown was a family tradition, but he seems to have been well-regarded by the Lords Apellant who opposed Richard’s favourites. And when Richard II resumed power on a more moderate basis, Montagu cooperated with him. He served in various commissions during the 1390s, but appears only on the periphery of national politics. Unfortunately the case had served to alienate William Montagu from his brother and nephew – both called John – who were also his heirs. As a result, Montagu started selling off substantial parts of his property, in order to keep them out of his brother’s hands. 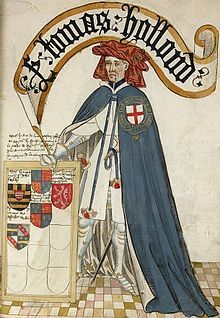 In 1393 he sold the Isle of Man to William Scrope and in his will, he left half of his goods to his wife and the rest to servants and the church, leaving nothing of his disposable property to his nephew, the new earl. John Montagu was left to inherit the title and landed estates not mentioned in the will. Montagu had lived through the worst years of plague and the resultant Peasants’ Revolt; he had survived war with France on numerous occasions and suffered the personal tragedy of accidentally killing his only child. The last survivor of Edward III’s great captains of the Hundred Years War, William Montagu died on 3rd June 1397, just shy of his 69th birthday. 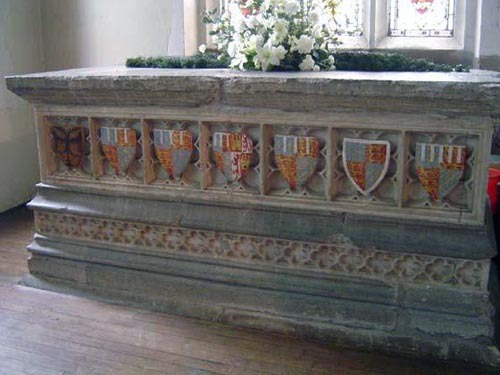 He was buried at Montacute Priory at Bisham in Berkshire; unfortunately nothing remains of his tomb. His wife, Elizabeth, survived him by 18 years, later becoming a nun; she was received into the sisterhood of the convent of St Albans on 10th October. Having made her will in 1414, leaving her sister, Philippa, Duchess of York, and her nephew Richard, Lord Strange of Knockyn, as her heirs, she died on 14th January 1415. Heroines of the Medieval World tells the stories of women, famous, infamous and unknown, who shaped the course of medieval history. It is available in hardback in the UK from both Amberley Publishing and Amazon UK. It is now available in Hardback from Amazon US and worldwide from Book Depository. From Emma of Normandy, wife of both King Cnut and Aethelred II to Saint Margaret, a descendant of Alfred the Great himself, Silk and the Sword: the Women of the Norman Conquest traces the fortunes of the women who had a significant role to play in the momentous events of 1066. Silk and the Sword: the Women of the Norman Conquest will be released in the UK on 15 November 2018 and is available for pre-order on Amazon UK, Amberley Publishing and Book Depository. Edward of Norwich, 2nd Duke of York, was born into wealth and privilege. Grandson of 2 kings and 1st cousin to 2 kings, his life story is full of ambition, glory and war, duty and service – and a hint of treason. All the ingredients needed for a rollicking good novel; with also the possibility of a strange love story. Edward was born, probably at King’s Langley, in about 1373. A birthday of 1375 has also been suggested, but 1373 seems most likely. The fact he has Norwich after his name has suggested he could have been born there, but there is a theory that it is a derivation of “d’Everwick”, meaning “of York”. 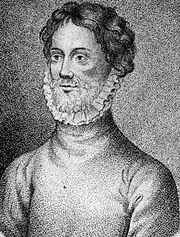 Edward’s father was Edmund of Langley, 1st Duke of York and 5th son of Edward III and Philippa of Hainault. His mother was Isabella of Castile, daughter of Pedro the Cruel, king of Castile, and his mistress – and later, wife – Maria de Padilla. Although the couple had 3 children, their marriage doesn’t appear to have been a happy one and there were rumours of scandal surrounding Isabella, with a question mark raised over the paternity of her youngest son, Richard of Conisbrough. Edward also had a sister, Constance, who was close in age to him and born around 1374. Edward was born into a time of great change in the English monarchy. His grandmother, Philippa, had died in 1369 and his grandfather, Edward III, king since 1327, was slipping into senility, allowing his mistress, Alice Perrers, and her cohorts too much control of his affairs. In 1376 Edward’s eldest son and heir – and England’s hero of the time – Edward, the Black Prince, died after years of debilitating illness. The prince’s death broke the old king, who died the following year, leaving his 10-year-old grandson Richard of Bordeaux, son of the Black Prince, as king. The government – and the country – was largely in the hands of Edward and Richard’s uncle, John of Gaunt, Duke of Lancaster. John was the 4th son of Edward III and married to Edward of Norwich’s aunt, Constance of Castile. It was a time of uncertainty; many feared John would usurp the crown for himself, but he stayed loyal to his nephew and Richard was crowned as King Richard II. At only 4 years old Edward of Norwich attended the coronation, receiving his knighthood as part of the celebrations. Edward would be a loyal supporter of Richard II and received numerous royal grants, including the title of Earl of Rutland in February 1390. He was also given the title Earl of Cork when he accompanied Richard on his Irish campaign in 1394/5, leading several successful missions. In the 1390s Edward emerged as a leading member of Richard’s circle of intimates. A man of considerable ability, Richard named him “the most able,wise and powerful man that he could think of”¹ and is even said to have considered leaving his crown to Edward. After the death of Richard’s queen, Anne of Bohemia, in 1394, Edward was one of the 3 feoffees of her estate, allowing him control of considerable patronage. Richard practically showered Edward with lucrative positions, including: admiral of the North & West (1391), Constable of Dover and Warden of the Cinque Ports (1396), Constable of the Tower of London (1397) and Constable of England (1398). He was also involved in the king’s diplomacy in France and the Holy Roman Empire, undertaking diplomatic missions to both. Richard even took personal interest in Edward’s marriage prospects. In 1381 Edward had been betrothed to Beatriz of Portugal as part of the Anglo-Portuguese alliance against Castile. However, when the Portuguese made peace with Castile, Beatriz was married to Juan I of Castile instead. Richard II suggested the sister-in-law of Giangaleazzo Visconti of Milan and also considered 3 relatives of Charles VI of France before suggesting Jeanne de Valois, younger sister of Richard’s proposed bride, Isabelle de Valois. Edward was addressed as ‘the king’s brother’ in recognition of their proposed marriages to sisters, even long after Edward’s planned marriage had fallen through. By October 1398 Edward was married. His bride was a very curious choice for England’s most eligible bachelor. At 25 and likely to inherit his father’s dukedom in the not-too-distant future, Edward must surely have had the choice of every heiress in the kingdom of marriageable age. And yet his bride was twice widowed, 20 years his senior and with no dowry or inheritance to speak of. Philippa was the 3rd daughter of John Mohun, 2nd Baron Mohun and a founding member of the Order of the Garter, and his wife Joan Burghersh. She had first been married to Walter Fitzwalter, 3rd Baron Fitzwalter, who died in 1386 and secondly to Sir john Golafre who died in 1396. Having no male heirs, Philippa’s mother had sold the reversion of the Mohun estates to Lady Elizabeth Luttrell, leaving her daughters with no landed inheritance. The fact this was hardly a glittering match for such an illustrious magnate greatly suggests that it was a love match. And, as with Philippa’s previous 2 marriages, the union was to remain childless; Edward would eventually name his young nephew as his heir. While Edward was finalising the domestic arrangements for his new bride, England was falling into turmoil. Richard II had imprisoned one uncle Thomas of Woodstock, Duke of Gloucester, in Calais and was distrustful of another uncle, John of Gaunt. In the 2nd half of the 1380s Gloucester and the Lords Appellants had been the focus of opposition against Richard’s personal rule and had attempted to curb the king’s excesses, forcing restrictions to his rule. John of Gaunt had restored order following his return from campaigning in Spain, but in 1397 Gloucester was murdered whilst imprisoned in Calais, most likely on Richard’s orders. It was said Edward had played a leading role in the arrest of Gloucester and the earls of Arundel and Warwick and he certainly benefited from the aftermath, receiving a significant share of the forfeitures that followed. In September 1397 he was made Duke of Aumale and given the post of Constable of England – formerly held by Gloucester. As Constable, Edward would preside over Richard’s legal reforms, extending the court of chivalry to include treason and other offences which touched the king’s dignity. Of the other 2 ringleaders of the Lords Appellant, Richard Fitzalan, earl of Arundel was beheaded and Thomas de Beauchamp, earl of Warwick was stripped of his titles and imprisoned on the Isle of Man. Two of the younger members of the Lords Appellants, Thomas of Mowbray, earl of Nottingham and Henry Bolingbroke earl of Derby, had initially escaped any severe retribution. However, in 1398 Richard found a pretext to exile them both from the country. Bolingbroke was the son of the most powerful man in the kingdom – John of Gaunt – he was also cousin to both Richard II and Edward of Norwich. On Gaunt’s death in 1399, instead of passing his inheritance onto Bolingbroke, Richard appropriated it for the crown, putting some of the lands into Edward’s care – and extending his cousin’s exile to life. Later that year Richard set off on campaign to Ireland, taking with him his cousin Edward and Bolingbroke’s 13-year-old son, Henry of Monmouth. We don’t know how Edward had reacted to his cousin Henry’s disinheritance, but it can’t have been an easy time for him, caught in the middle of his warring cousins, and he may have felt uneasy with the sudden change in Henry’s circumstances at the hands of the king. He later claimed that he had not drawn any of the revenues from the Lancastrian lands which had been put in his custody. Whilst Richard was in Ireland Henry of Bolingbroke landed at Ravenspur in Yorkshire, announcing that he had returned only to claim his inheritance. While Richard headed back to England to face him, Henry was progressing through the country, gaining support. Edward advised Richard to send John Montague, Earl of Salisbury, into north Wales while Richard gathered his forces. Montague raised 4,000 men, but his force had disintegrated by the time the king arrived. On arriving in south Wales, Richard had immediately pressed northwards, leaving Edward and his main force behind him. There seems to be some confusion as to Edward’s actions. He was reputedly attacked as he made his way through Wales, but by which side is unclear. He was said to be part of the delegation sent – by Bolingbroke – to Richard at Flint, wearing Bolingbroke’s livery. Jean Creton, in his Histoire du Roy d’Angleterre Richard II, says Edward ‘said nothing to the king, but kept at as great a distance as he could from him’². Creton stated there was no man alive that Richard had loved better and depicted Edward as a Judas deliberately betraying his king in 1399. However, the transition of power from Richard II to Henry IV was far from plain sailing for Edward. Henry and Edward were 1st cousins, but Edward was one of the key personalities of Richard’s tyrannical reign, and a focus for revenge. According to the chronicler, Thomas Walsingham, Edward came close to being lynched as tempers ran hot during Henry’s 1st parliament. Edward was accused of urging Gloucester’s murder, a claim he was forced to vehemently deny. Henry resisted calls for the death penalty for Richard’s adherents, and settled instead for punishment by the confiscation of all titles and rewards granted since 1397. Edward was one of the greatest losers; he lost the constableships of England and the Tower of London and his manor of Burstwick was granted to the earl of Northumberland. He was no longer Duke of Aumale and back to being, simply, earl of Rutland. However, when parliament finished, Henry confirmed Edward’s custody of the Channel Islands and his lordship of the Isle of Wight, suggesting the new king had confidence in his cousin’s loyalty, even if parliament didn’t. By the end of 1399 Edward had become embroiled in the Epiphany Rising, the plot to murder Henry IV and his sons during a tournament at Windsor on Twelfth Night. Edward is said to have been a conspirator, but it was he who betrayed the plot to the king, and he was rewarded with the restoration of the lordship of Oakham in Rutland. The plot’s failure meant death for Richard II; Richard had been held at Pontefract Castle since his deposition, but the uncovering of the plot meant he was too dangerous to keep alive. He died around 14th February 1400, probably from starvation. Edward served the Lancastrian dynasty in much the same way he had Richard II. 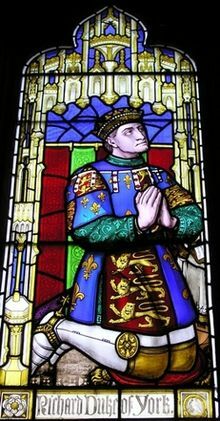 In October 1400 he was appointed Keeper of North Wales and July 1401 he was dispatched to France as Henry’s lieutenant in Aquitaine, in response to an appeal from the archbishop of Bordeaux who described Edward as ‘the man closest to the king after the king’s sons’. Whilst in Bordeaux Edward succeeded as the Duke of York, following his father’s death on 1st August 1402. In May of the following year Edward gave up his office to return to England and by the autumn he was campaigning in Wales. In October he was appointed the king’s lieutenant in south Wales for 1 year, but by November the appointment had been extended to 3 years. Still owed money from his time in Aquitaine, and with Henry unable to meet the costs of the war in Wales, Edward was left in serious financial straits. His men were on the verge of mutiny. However, Edward was one of those rare commanders, who knew how to inspire men and command loyalty. Forced to mortgage his properties to release funds, he made a promise to his troops that, on his honour, he would receive none of his own revenues until they were paid. Edward and Prince Henry were particularly close. Edward was something of a mentor to the young Prince of Wales, as well as being his hunting master. However, when Henry IV and the Prince of Wales quarreled over foreign policy, Edward sided with the king. In 1412 he accompanied the king’s 2nd son, Thomas, on campaign in France, to aid the Armagnacs against the Burgundians. 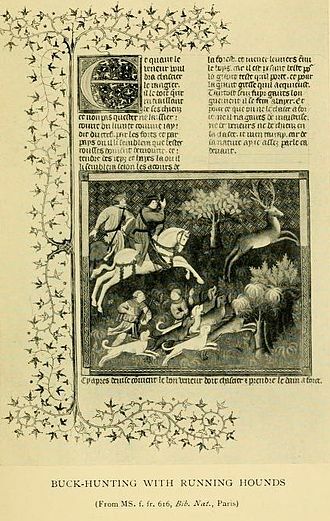 Following the king’s death in 1413 he was preparing to defend Aquitaine in the June, and by August he was in Paris, negotiating a possible marriage between the new king, Henry V and Catherine of Valois. 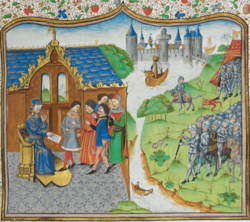 Edward was back in England by October 1413, but was constantly involved in the diplomacy between England and France that led to Henry’s invasion of the country in 1415. In August 1415 Edward’s brother, Richard of Conisbrough, earl of Cambridge was executed for his involvement in the Southampton Plot to replace Henry V with his Mortimer cousin. For once, the Duke of York was above suspicion. Shortly after the executions the fleet set sail for France and landed there on 13th August 1415. Almost immediately the army besieged Harfleur, finally taking the small town on 22nd September, but at great cost. During the siege dysentery had spread through the army, decimating Henry’s forces and leaving him with barely 6,000 men to continue the campaign. As a result, Henry decided to make a run for Calais and safety, hoping to find a crossing of the River Somme whilst avoiding the French army amassing near Rouen. Edward, Duke of York, led the vanguard, taking part in several skirmishes from the harassing French troops and marching his men at an incredible pace. His men were starving and desperately ill – with more succumbing to dysentery every day. According to historian Michael Jones, the Duke of York used his extensive hunting expertise to formulate the battle plan that would give Henry V the great victory that is still remembered today. His battle plan depended on a contingent of English archers being able to provoke the French into attacking down an enclosed valley, channelling them into the path of massed volley fire from a 2nd contingent of archers. 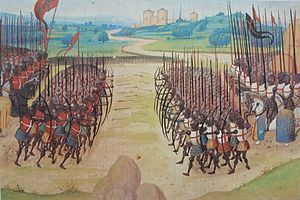 The knights and men-at-arms would then enclose the survivors and destroy the remainder of the French army. York was in the thick of the fighting, 90 men were killed defending his banner – the majority of the English casualties on the day. York fought valiantly but was killed as his helmet was smashed into his skull. His men protected their fallen leader’s body, preventing the French from breaking through the thin English line. Edward Duke of York had led an illustrious and often controversial career. He had served 3 kings. He had written the first book on hunting in the English language. He could quote Chaucer, was a generous lord and a great military leader. 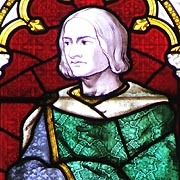 The Chronicler of Godstow regarded him as a “second Solomon”. However, his reputation suffered damage during the Tudor era, when he was accused of being fat and dissolute – it was said he’d died at Agincourt after being suffocated in his armour because he was too heavy to rise after a fall. The reverence with which Henry treated Edward after his death proves the lie of the later propaganda. Edward’s will was honoured; his nephew Richard inherited his lands and title, gifts to his men were fulfilled, such as Sir John Popham who received armour, a horse and a life rent from one of the Duke’s manors. Edward asked to be buried in the church at Fotheringhay, where he had recently founded a college of priests. He was laid to rest beneath the choir steps, the grave marked by a marble slab with his figure upon it, engraved in brass. A larger memorial was added in Elizabethan times. Edward’s wife Philippa survived him by 16 years, spending her widowhood at Carisbrooke Castle as the Lady of the Isle of Wight. She died 17th July 1431 and was buried in Westminster Abbey. 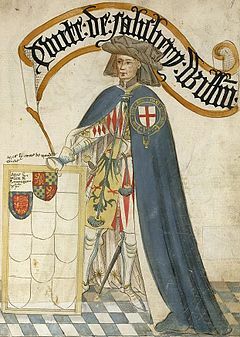 Edward’s nephew Richard, 3rd Duke of York, would go on to challenge Henry VI for the throne, dying at the Battle of Wakefield in December 1460. 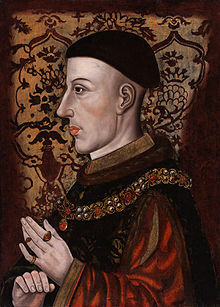 His son Edward would take up the mantle and succeed as Edward IV in March 1461, just 3 months after his father’s death. Footnotes: ¹ Given-Wilson quoted in Oxford Database of National Biography; ² Jean Creton Histoire du Roy d’Angleterre Richard II quoted in Oxford Database of National Biography; ³ 24 Hours at Agincourt by Michael Jones. Sources: The Oxford Companion to British History Edited by John Cannon; The Plantagenets, the Kings who Made England by Dan Jones; History Today Companion to British History Edited by Juliet Gardiner and Neil Wenborn; Brewer’s British Royalty by David Williamson; 24 Hours at Agincourt by Michael Jones; Agincourt: My Family, the Battle and the Fight for France by Ranulph Fiennes Britain’s Royal Families, the Complete Genealogy by Alison Weir; The Mammoth Book of British Kings and Queens by Mike Ashley; The Plantagenets, the Kings that made Britain by Derek Wilson; englishmonarchs.co.uk; oxforddnb.com; britannica.com; upenn.edu. Tracing the fortunes of the women who had a significant role to play in the momentous events of 1066, Silk and the Sword: the Women of the Norman Conquest will be released in the UK on 15 November 2018 and is available for pre-order on Amazon UK, Amberley Publishing and Book Depository. It is scheduled for release in the US on 1 March 2019 and is available for pre-order from Amazon US. Constance of York was born around 1374, possibly at Conisbrough Castle in Yorkshire (although that is far from certain). She was the 2nd of 3 children born to Edmund of Langley, Duke of York and 5th son of Edward III, and his wife, Isabella of Castile. Edmund and Isabella also had 2 boys, Edward of Norwich in around 1373 and Richard of Conisbrough, who is thought to have been born around 1375/6, but could have been born as late as the early 1380s. Contemporary sources suggest that Edmund and Isabella were an ill-matched pair and their relationship was a rocky one, with Isabella accused of having an affair with John Holland, Duke of Exeter and half-brother to Richard II. Holland has also been suggested as the father of Isabella’s youngest son, Richard. Constance’s childhood was short-lived. At the age of 4, in April 1378, she was betrothed to Edward le Despenser. However, young Edward appears to have died shortly after the betrothal as by November 1379 Constance was married to his only surviving, younger brother, Thomas, who was about 6 at the time. It is highly likely that 4-year-old Constance remained in her parents’ household for several years after her marriage, although she may have spent time also in the household of her mother-in-law, who retained wardship of young Thomas despite her husband’s death. Thomas le Despenser was a great-grandson of the infamous Hugh le Despenser the Younger, despised favourite and alleged lover of Edward II, who was executed on a 50-foot high gallows in 1326. The marriage was seen as a good match on both sides: the Despenser family had a considerable fortune and were among the 12 richest families in the country, while Constance was a granddaughter of Edward III. Her hand in marriage completed the rehabilitation of the Despenser family. In 1386, at just 12-years-old Constance was made a Lady of the Garter by her cousin, Richard II; she was one of the youngest ever recipients of the award. In 1392 Constance’s mother died and the following year her father re-married. His new bride was about 6 years younger than Constance and was a niece to Richard II; Joan Holland was the daughter of Thomas Holland, 2nd earl of Kent and granddaughter of Joan of Kent, Princess of Wales. In a bizarre twist, she was also the niece of John Holland, 1st Duke of Exeter, the late Duchess of York’s alleged lover. Thomas, meanwhile, was learning his trade as a soldier. He served with Richard II in Scotland in 1385, probably as a page or squire, given his tender years. In 1388 he was knighted by the Earl of Arundel, following his involvement in a naval expedition against the French. In 1391 Thomas travelled to Prussia to join the “crusade” against the Lithuanians. It seems likely that, by 1394 with Thomas back in England, Thomas and Constance were finally living together as a couple. In March of that year, Thomas had been granted full possession of his lands; he had been a ward of his mother, Elizabeth de Burghersh, since his father Edward’s death in 1375. It’s possible the couple had as many as 5 children, but only 2 survived infancy; a son, Edward, died young, Hugh died around 1401 and a daughter, Elizabeth, born around 1398, also died young. The 1st definite date of birth of a child is Richard, possibly their 2nd son but the 1st to survive childhood, who was born 30th November 1396. Richard would inherit his grandmother’s title of Baron Burghersh on her death in about 1402. Richard married his 2nd cousin Eleanor, daughter of Ralph Neville, 1st Earl of Westmoreland, and Joan Beaufort, daughter of John of Gaunt and Katherine Swynford. Unfortunately, Richard and Eleanor had no children before Richard died, still only in his 20s. 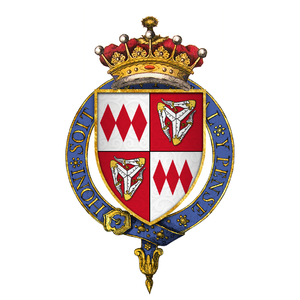 His title passed to his younger sister, Isabella, who had been born around 1400 and was married successively to 2 men, cousins, of the same name; she married firstly Richard de Beauchamp, Earl of Worcester and secondly Richard de Beauchamp, Earl of Warwick. Isabella’s daughter by Warwick, Anne, would later marry Richard Neville, known as the Kingmaker, and be the mother of Richard III’s queen, Anne Neville. 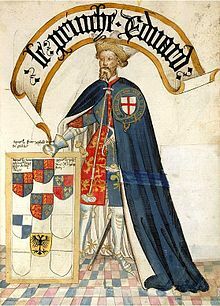 Thomas le Despenser was a great supporter of Richard II, he was involved in the arrest and prosecution of the Appellant lords, the Duke of Gloucester and the Earl of Arundel in 1397; in return for which he received a share of their lands. And on the 29th September 1397, le Despenser was created Earl of Gloucester. In spite of his close links with Richard II, Gloucester initially supported the accession of Henry Bolingbroke as Henry IV, after usurping Richard’s throne. However, after he was attainted for his role in the death of Thomas of Woodstock, Duke of Gloucester, and deprived of his earldom he became disillusioned with the new regime. Fearful of losing his estates, and possibly his life, in January 1400 he joined in a conspiracy with the earls of Kent, Salisbury and Huntingdon. Known as the Epiphany Rising, the earls planned to seize the king during a tournament at Windsor, intending to kill Henry IV and replace him with Richard II – still imprisoned at Pontefract Castle. The conspiracy was betrayed to the king by Edward of Norwich, Constance’s older brother and the conspirators were arrested and executed. 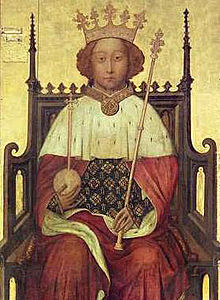 Richard II himself became the prime victim of the plot, which led Henry IV to believe it was too dangerous to keep the erstwhile king alive; he died shortly afterwards, still in custody at Pontefract Castle, probably from starvation. Thomas le Despenser was executed on 13th January 1400. It is tempting to feel sorry for Constance of York, former Countess of Gloucester, mother of several infants and pregnant with her late husband’s child. And, indeed, it must have been difficult for her; a young, pregnant widow of a convicted traitor. With her husband’s lands forfeit, she could well have wondered what was going to happen to them all, especially following the death of her father in 1402. However, Constance herself was not beyond plotting. In February 1405, during Owain Glyn Dwr’s rebellion, Constance became involved in the plot to abduct Edmund Mortimer, 5th Earl of March from Windsor Castle. March had the greatest claim to the throne of all Henry IV’s rivals, being descended from Edward III’s 2nd surviving son, Lionel of Antwerp. The plan was to deliver March and his younger brother, Roger, to their uncle, Sir Edmund Mortimer, who was married to Glyn Dwr’s daughter. The boys were successfully released from Windsor, but recaptured before entering Wales. 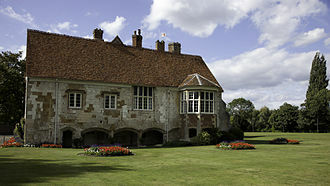 Although Constance does not seem to have suffered retribution for her part in the plot, she did implicate her brother Edward of Norwich, Duke of York, who was imprisoned in Pevensey Castle for 17 weeks as a consequence. Constance was also to cause scandal in her love life. As a young widow, she started a liaison with Edmund Holland, 4th Earl of Kent and the brother of Constance’s step-mother, Joan. A daughter, Eleanor, was born to the couple at Kenilworth in about 1405. She would later marry James Touchet, Lord Audley. Whether or not Eleanor’s parents married became a bone of contention for the young woman when she attempted to lay claim to her father’s lands and titles in 1430. Although she produced witnesses to prove the marriage of her parents, in about 1404, on the petition of Edmund’s sisters, Joan Duchess of York (Eleanor’s step-grandmother) and Margaret Holland, Duchess of Clarence, Eleanor was adjudged illegitimate and unable to inherit from her father. Edmund was killed at the Battle of Ile-de-Brehat in September 1408 and buried on the island of Lavrec. Constance outlived her lover by 8 years, dying on the 28th November 1416, the last survivor of the 3 York children. Her younger brother, Richard, had been executed in August 1415, for his part in the Southampton Plot to assassinate Henry V; and older brother Edward, Duke of York, was killed at Agincourt in October of the same year. Constance of York, Countess of Gloucester, was buried at Reading Abbey in Berkshire. Pictures: Conisbrough Castle is ©2015 Sharon Bennett Connolly. All other pictures are courtesy of Wikipedia. Sources:Sources: Brewer’s British Royalty by David Williamson; History Today Companion to British History Edited by Juliet Gardiner & Neil Wenborn; The Mammoth Book of British kings & Queen by Mike Ashley; Britain’s Royal Families, the Complete Genealogy by Alison Weir; The Life and Times of Edward III by Paul Johnson; The Perfect King, the Life of Edward III by Ian Mortimer; Chronicles of the Age of Chivalry Edited by Elizabeth Hallam; yorkistage.blogspot.co.uk; richard111.com; The Oxford Companion to British History Edited by John Cannon. Joan of Kent was the daughter of Edmund of Woodstock, Earl of Kent and brother of Edward II. Edmund was a younger son of Edward I by his 2nd wife, Margaret of France; he married Margaret Wake in 1325. Joan was the 3rd of 4 children, and was born on 28/9th September 1328 at Woodstock. When she was just 18 months old, Joan’s father was beheaded for treason on the orders of the Regent, Roger Mortimer and his lover, Queen Isabella; after becoming convinced that his brother, Edward II, was still alive Edmund had become involved in a plot to free the erstwhile king. Joan’s mother, Margaret Wake, was held under house arrest at Arundel Castle, along with all 4 of her children; Joan’s baby brother, John, was born a month after their father’s execution. 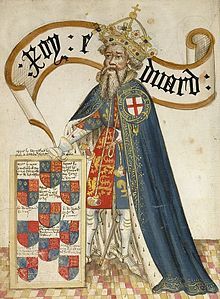 Just a few months later, Edward III escaped Mortimer’s control and assumed power; he took over responsibility for the family and Joan, a favourite of Edward’s queen, Philippa of Hainault, was raised at court. The leading beauty of her day, Joan had little to offer a potential suitor, beyond her looks and keen intelligence. She had grown up in the same household as Edward III’s oldest children; his son and heir, Edward and his daughters Isabella and Joan. Sometime around the age of 11 it seems Joan secretly married, or promised to marry, Thomas Holland. However, shortly afterwards Holland left on Crusade to Prussia and during his absence, Joan was married to William Montague, the Earl of Salisbury in 1340/41. When he returned Thomas Holland became the steward to the Earl of Salisbury and found himself in the dubious position of working for the man who was married to his ‘wife’. In May 1348 Holland petitioned the pope, stating that Joan had been forced into her marriage with Salisbury. He went on to say that Joan had previously agreed to marry him and that their relationship had been consummated. He claimed her as his own wife, and Joan backed up his story. It took 18 months for Joan’s marital status to be resolved, and for some of that time Salisbury kept Joan a prisoner; he was ordered to release her in order that she could give evidence at the inquisition looking into her marriage status. In the mean time, England itself was in the grips of the Black Death, the bubonic plague. 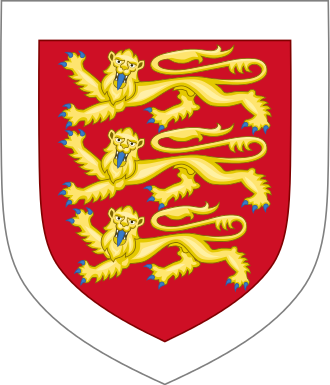 In order to lift the country’s spirits the king, Edward III, had arranged a grand tournament at Windsor, on St George’s Day, 23rd April 1349. The knights in contention were founder members of the Order of the Garter; England’s greatest chivalric order, consisting of the king and 25 founder knights, probably founded in 1348, though the date is uncertain. Joan herself is a part of the legend of the foundation of the Order of the Garter. She is said to be the lady who lost her garter during a ball celebrating the fall of Calais. Edward III is said to have returned the item to the 20-year-old damsel with the words “honi soit qui mal y pense” (evil to him who evil thinks). Although the story is probably apocryphal, Joan’s connection with the inaugural tournament is all too true; she brought an added bit of spice to the St George’s Day tournament of 1349. Her current husband, the Earl of Salisbury, fought on the king’s team, while Sir Thomas Holland was on the side of Prince Edward. Joan’s 2 husbands faced each other across the tournament field, with the object of their affection watching from the stands. Although I couldn’t find the results of the tournament, Joan’s marital status was decided by Papal Bull on 13th November 1349, when the pope ordered her to divorce Salisbury and return to Holland. Which she did. Joan succeeded her brother, John, as Baroness Wake of Liddell and Countess of Kent in December 1352 and was confirmed in her new titles in February 1353. Sir Thomas Holland, therefore, became Earl of Kent by right of his wife. Joan and Sir Thomas Holland had 5 children together; 3 sons and 2 daughters. Edmund was born in 1352 and died young. Thomas, Earl of Kent, married Alice, the daughter of Richard FitzAlan, 10th Earl of Arundel; he died in 1397. Their 3rd son, John, was created Duke of Exeter in 1397 by his younger brother, King Richard II. He married Elizabeth of Lancaster, daughter of John of Gaunt and Blanche of Lancaster, but was executed in 1400 for his involvement in a plot to assassinate Henry IV and return his brother to the throne. At the end of 1360 Sir Thomas Holland, a veteran soldier who had fought in the Crecy campaign, died and Joan was left a widow. Edward Prince of Wales – the Black Prince – may have offered comfort to the Lady Joan, his friend from childhood. Although a widow with 5 children, and bringing no beneficial foreign alliance to the marriage table, Joan and Edward appear to have fallen in love. It was not the political match his father had wanted for the heir to the throne, but all attempts at a marriage alliance with a princess from the Low Countries had come to nought; and it seems the king was quite happy to accept his son’s choice of wife. It must have caused quite a scandal at the time. Although a reputed beauty, Joan’s bigamous marriage to William Montague was well-known – and he was still alive. She had 5 children by her 1st husband, Thomas Holland. Moreover, she was 33 years of age, 2 years older than her prince. She hardly appeared ‘queen’ material. However, according to the Chandos Herald Joan was “a lady of great worth…. very beautiful, pleasing and wise”. Edward III sent one of his own people to the pope to ask permission for the marriage, which was swiftly granted. With great ceremony Edward and Joan were married at Windsor on 10th October 1361, by the Archbishop of Canterbury. Shortly after the wedding, the couple moved to Berkhamsted, where the king visited them after Christmas. In 1363 they moved their entire household to Bordeaux, after the prince was given the Duchy of Aquitaine by his father. Their court there was lavish, exceeding the king’s own in brilliance. 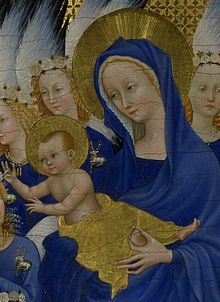 In 1365 their first child was born; a son, Edward of Angoulême. His brother, Richard of Bordeaux, followed on 6th January 1367. “In due course Joan, the princess, went into labour and by God’s grace was delivered of her child. It was a fine son, Richard of Bordeaux, born at Epiphany, 6 January , which that year fell on a Wednesday. Richard’s baptism was attended by 3 kings; Pedro of Castile, James IV of Majorca and Richard of Armenia. William Thorne, the Canterbury Chronicler, described them as the 3 ‘magi’ (or wise men), as Richard had been born on Epiphany, Twelfth Night; an auspicious sign for a bright future. The Spanish campaign was aimed at supporting Pedro of Castile’s claim to the throne against that of his illegitimate half-brother, Henry of Trastamara. Although the Black Prince managed to re-establish Pedro’s rule, the Castilian king could not pay the English army and Edward, already with a reputation for heavy-handedness in Aquitaine, taxed the duchy in order to raise funds. However, several of the lords appealed to France for aid. In 1370 Limoges rebelled against him; the Black Prince destroyed it completely, not a building was left undamaged, almost the entire population killed. Sometime in late 1370 or early 1371 the young family suffered a heartbreaking tragedy. Little Edward of Angoulême died of bubonic plague. He was buried in Bordeaux, his funeral arranged by John of Gaunt and attended by all the great lords of Gascony. The Black Prince’s health had been destroyed by a lifetime of campaigning. He returned to England a virtual invalid and died in 1376. Left a widow for a 2nd time, Joan still had custody of her young son and was in charge of Richard’s education until his accession to the throne in 1377. Edward III died in 1377, leaving the throne to 10-year-old Richard of Bordeaux. In his will he gave to Joan, Princess of Wales, a thousand marks and the free restitution of jewels she had pledged too him. Despite her marital history, and a reputation for extravagance – she was said to have spent £200 on a set of jewelled buttons – Joan was loved by the English people. It was with her that John of Gaunt sought refuge following the sacking of his Savoy Palace in 1376, when the people were discontented with his rule. 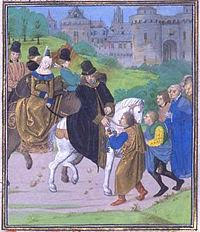 Joan was seen as a calming influence of her son, Richard II, and was by his side during the dangerous days of the Peasant’s Revolt of 1381; she sheltered in the Tower of London and rode in a whirligig to accompany her 13-year-old son to meet with the rebels at Mile End. In 1385 Joan’s son, John Holland, while campaigning in Scotland, killed Ralph Stafford, son of the 2nd Earl of Stafford, in a quarrel. 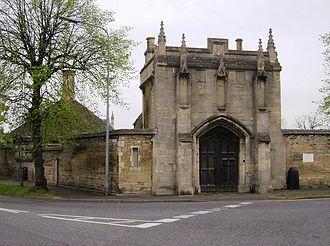 He fled to sanctuary at the shrine of St John of Beverley, but was condemned to death. Joan pleaded with her Richard for days, begging him to pardon his brother. She died at Wallingford Castle, sometime in August 1385. The King pardoned his half-brother the following day. Although the Black Prince had built a chantry chapel for his wife, at Canterbury Cathedral, with ceiling bosses of her face, Joan was not buried at Canterbury with the Black Prince, but at the Greyfriars at Stamford in Lincolnshire, beside her 1st husband, Sir Thomas Holland. Sources: The Perfect King, the Life of Edward III by Ian Mortimer; The Life and Time of Edward III by Paul Johnson; The Reign of Edward III by WM Ormrod; The Mammoth Book of British kings & Queens by Mike Ashley; Britain’s’ Royal Families, the Complete Genealogy by Alison Weir; Brewer’s British Royalty by David Williamson; The Plantagenets, the Kings Who Made Britain by Dan Jones; englishmonarchs.co.uk; The Oxford Companion to British History edited by John Cannon; Chronicles of the Age of Chivalry Edited by Elizabeth Hallam. From Emma of Normandy, wife of both King Cnut and Æthelred II to Saint Margaret, a descendant of Alfred the Great himself, Silk and the Sword: the Women of the Norman Conquest traces the fortunes of the women who had a significant role to play in the momentous events of 1066. Silk and the Sword: the Women of the Norman Conquest will be released in the UK on 15 November 2018 and is available for pre-order on Amazon UK, Amberley Publishing and Book Depository. The third surviving son of Edward III and Philippa of Hainault John of Gaunt was born in 1340 at the Abbey of St Bavon, in Ghent in modern-day Belgium. At the height of his career he was the most powerful man in the kingdom after the king. He was virtually regent for his father, Edward III, in his old age, thus getting the blame for military failures and government corruption. His reputation was further damaged when he blocked the reforms of the Good Parliament of 1376, which had tried to curb the corruption of Edward III’s and limit the influence of the king’s grasping mistress, Alice Perrers. John of Gaunt’s wealth meant he could form the largest baronial retinue of knights and esquires in the country. He alone provided a quarter of the army raised for Richard II’s Scottish campaign in 1385. A stalwart supporter of his nephew, Richard II, he was the target for the rebels during the Peasants’ Revolt; his London residence, the Savoy Palace, was burned to the ground in 1381. He was a soldier and statesman whose career spanned 6 decades and several countries, including England, Belgium, France, Scotland and Castile. However, by far the most fascinating part of his life is his love life. John married three times; his wives being two great heiresses and a long-time mistress. John of Gaunt’s first marriage, at the age of 19, was aimed to give him prestige, property and income and was arranged as part of his father’s plans to provide for the futures of several of his children. 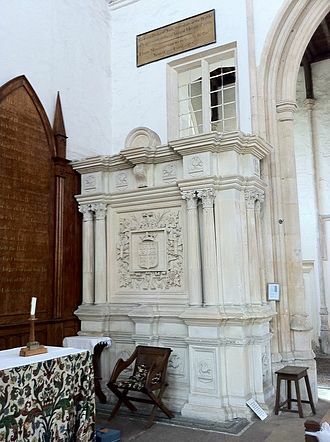 John and 14-year-old Blanche of Lancaster, youngest daughter of Henry of Grosmont, Duke of Lancaster, were married on 19th May 1359 in the Queen’s Chapel at Reading. It is quite likely that John had already fathered one child, a daughter, Blanche, by Marie de St Hilaire before his marriage. Blanche was born sometime before 1360 and would go on to marry Sir Thomas Morieux before her death in 1388 or 1389. Blanche of Lancaster was described as “jone et jolie” – young and pretty – by the chronicler Froisssart, and also “bothe fair and bright” and Nature’s “cheef patron of beautee” by Geoffrey Chaucer. She brought John of Gaunt the earldom of Lancaster following her father’s death from plague in 1361, and those of Leicester and Lincoln when her older sister, Matilda, died of the same disease in 1362, making him the largest landowner in the country, after the king. The marriage proved very successful, with 7 children being born in just 8 years, 3 of whom survived infancy; daughters Philippa and Elizabeth and a son, Henry of Bolingbroke. It has always been believed that Blanche died in 1369, when John of Gaunt was away in France, having moved her young family to Bolingbroke Castle in Lincolnshire, to escape a fresh outbreak of the Black Death, but that she succumbed to the plague while there. However, recent research has discovered that Blanche died at Tutbury on 12th September, 1368, more likely from the complications of childbirth than from the plague, following the birth of her daughter, Isabella, who died young. Her husband was by her side when she died and arranged to have prayers said for the soul of his lost duchess. She was buried in St Paul’s Cathedral in London. John of Gaunt arranged for a splendid alabaster tomb and annual commemorations for the rest of his life. John also commissioned Geoffrey Chaucer to write The Book of the Duchess, also known as The Deth of Blaunche; a poem that is said to depict Gaunt’s mourning for his wife, in the tale of a Knight grieving for his lost love. In it Chaucer describes Blanche as “whyt, smothe, streght and flat. Naming the heroine “White”, he goes on to say she is “rody, fresh and lyvely hewed”. Before 1365 Blanche had taken into her household a lady called Katherine Swynford, wife of one of her husband’s Lincolnshire knights. John was godfather to the Swynfords’ daughter, Blanche. Katherine later became governess to Blanche’s two daughters, Philippa and Elizabeth and young Blanche Swynford was lodged in the same chambers as the Duchess’s daughters, and accorded the same luxuries as the princesses. Katherine was the daughter of a Hainault knight, Sir Paon de Roet of Guyenne, who came to England in the retinue of Queen Philippa. She had grown up at court with her sister, Philippa, who would later marry Geoffrey Chaucer. Whilst serving in Blanche’s household, she had married one of John of Gaunt’s retainers, a Lincolnshire knight, Sir Hugh Swynford of Coleby and Kettlethorpe, at St Clement Danes Church on the Strand, London. Following Blanche’s death Katherine stayed on in the Duke’s household, taking charge of the Duke’s daughters. However, it was only shortly after her husband’s death in 1371 that rumours began of a liaison between Katherine and the Duke; although it is possible the affair started before Sir Hugh’s death, this is far from certain. John and Katherine would have four children – 3 sons and a daughter – in the years between 1371 and 1379. They were supposedly born in John’s castle in Champagne, in France, and were given the name of the castle as their surname; Beaufort. However it seems just as likely that they were named after the lordship of Beaufort, which had formerly belonged to Gaunt and to which he still laid claim. Meanwhile, John had not yet done with his dynastic ambitions and, despite his relationship with Katherine, married Constance of Castile in September 1371. Constance was the daughter of Peter I “the Cruel” and his ‘hand-fast’ wife, Maria de Padilla. Born in 1354 at Castro Kerez, Castile, she succeeded her father as ‘de jure’ Queen of Castile on 13th March 1369, but John was never able to wrest control of the kingdom from the rival claimant Henry of Tastamara, reigning as Henry III, and would eventually come to an agreement in 1388 where Henry married John and Constance’s daughter, Katherine. Katherine was born in 1372/3 at Hertford Castle and was the couple’s only surviving child. John and Constance’s relationship appears to be purely dynastic. There is some suggestion John formally renounced his relationship with Katherine and reconciled with Constance in June 1381, possibly as a way to recover some popularity during the Peasant’s Revolt, following the destruction of his palace on the Thames. Katherine left court and settled at her late husband’s manor at Kettlethorpe, before moving to a rented townhouse in Lincoln. John of Gaunt visited her regularly throughout the 1380s, and Katherine was frequently at court. With 4 children by John of Gaunt but still only, officially, governess to his daughters, Katherine was made a Lady of the Garter in 1388. Constance, however, died on 24th March, 1394, at Leicester Castle and was buried at Newark Abbey in Leicester. John then went to Guienne to look after his interests as Duke of Aquitaine and remained in France from September 1394 until December 1395. When he returned to England, John wasted no time in reuniting with Katherine and they were married in Lincoln Cathedral in January 1396. John then made an appeal to the Pope and his children by Katherine were legitimated on 1st September 1396, and then by Charter of Richard II on 9th February 1397. However, a later clause excluded the Beaufort children from the succession. John was a man of renown, of culture and refinement. An amateur poet and friend of Chaucer, who had married Katherine’s sister, Philippa, he was also a patron of Wycliffe and encouraged the translation of the Bible into English. His complicated love life would cause problems for future generations, with his son by Blanche of Lancaster, Henry, forcing the abdication of Richard II and usurping the throne on 30th September 1399. His Beaufort descendants would be prominent players on both sides of the Wars of the Roses. While his son John, Earl of Somerset was the grandfather of Margaret Beaufort, mother of Henry VII, his daughter, Joan, was grandmother of the Yorkist kings Edward IV and Richard III. Katherine would outlive John and died at Lincoln on 10th May 1403. She was buried, close to the High Altar, in the cathedral in which she had married her prince just 7 years earlier. Her daughter Joan, Countess of Westmoreland, was laid to rest beside her, following her death in 1440. Their tombs, however, are empty and they are buried beneath the floor of the cathedral. John himself died on 3 February 1399, probably at Leicester Castle. He was buried in Old St Paul’s Cathedral, beside his first wife, Blanche of Lancaster. This has often been seen as his final act of love for his first wife, despite the problems John went through in order to finally be able to marry his mistress, Katherine Swynford. Personally, I think the two ladies, Blanche and Katherine, were his true love at different parts of John’s life. And I hope he had some feelings for poor Constance, who frequently appears as only a means to his dynastic ambitions. Article originally published on English Historical Fiction Authors in September 2015. Sources: Williamson, David Brewer’s British Royalty; Juliet Gardiner & Neil Wenborn History Today Companion to British History; Mike Ashley The Mammoth Book of British Kings & Queens; Alison Weir Britain’s Royal Families, the Complete Genealogy; Paul Johnson The Life and Times of Edward III; Ian Mortimer The Perfect King, the Life of Edward III; WM Ormrod The Reign of Edward III; Edited by Elizabeth Hallam Chronicles of the Age of Chivalry; Amy Licence Red Roses: From Blanche of Gaunt to Margaret Beaufort; womenshistory.about.com/od/medrenqueens/a/Katherine-Swynford; katherineswynfordsociety.org.uk. Pictures courtesy of Wikipedia, except the tomb of Katherine Swynford, © Sharon Bennett Connolly, 2015. Telling the stories of some of the most incredible women from Medieval history, Heroines of the Medieval World, is now available in hardback in the UK from both Amazon UK, in the US from Amazon US and worldwide from Book Depository. It will be released in paperback in the UK from 15 March 2019 and is available for pre-order from Amberley Publishing and Amazon. Richard of Conisbrough seems to have been a very controversial figure throughout his life, from questions of his paternity, through his secret marriage, to his untimely death for his involvement in a particularly ill-thought-out plot. He and I were born within 3 miles (and, of course, 6 centuries) of each other. As a student, I even gave guided tours at the Castle in which he was born. And the man is a completely fascinating, and yet such a shadowy, figure. The grandfather of both Edward IV and Richard III, he seems to have been a mediocre diplomat and soldier, and his eventual treason barely registers in the history books. Richard’s birth is obscured by time. Although sources seem undecided, the most likely date of his birth appears to be 1386 (although some place it as early as 1375). He was a grandson of Edward III through his father, Edmund of Langley, 1st Duke of York; and his mother, Isabel of Castile (sister of John of Gaunt’s wife, Constance), was described by chronicler Thomas of Walsingham as having ‘loose morals’. She and Edmund appear to have been an ill-matched pair from the beginning. Married in 1372, two children soon followed; Edward of Langley in c.1373 and Constance in c.1374. It seems the couple’s relationship cooled soon after, as no other children were forthcoming for over 10 years. As a result, the arrival of Richard of Conisbrough in 1386 appears to have raised some eyebrows and most people – even of the time – suspected that he was the son of Isabel’s lover, rather than the Duke of York. Isabel’s relationship with John Holland, Duke of Exeter and half-brother of the king, Richard II, was probably an open secret. The fact that his father and brother, both, left him out of their wills has fuelled this theory. However, leaving a son out of your will was not entirely unusual – Edmund of Langley was, in fact, left out of his own father’s will (that of Edward III) – and, my research suggests that Richard of Conisbrough was already dead by the time his brother, Edward, made his will. Isabel died on 23rd December 1392. Her will made Richard II her heir, but specifically asked him to provide an annual pension of 500 marks for her youngest son. 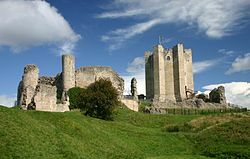 Richard’s allowance was paid regularly until 1399, but following the deposition of Richard II and accession of Henry IV, payments were made only sporadically and Richard of Conisbrough became the Royal Family’s ‘poor relation’. Richard of Conisbrough’s father, Edmund of Langley, died in 1402 and the dukedom of York passed to Richard’s older brother, Edward. Although his regular pension petered out under Henry IV, Richard’s career was largely unremarkable. In 1403/4 he was given command of a small force to defend Herefordshire against the last native prince of Wales, Owain Glyndwr. Richard was able to make several connections in the area; most notably with the Mortimer family. The Mortimers were cousins of Richard’s through the marriage of Lionel, Duke of Clarence’s daughter Philippa (Edward III’s granddaughter) to Edmund Mortimer, 3rd Earl of March. 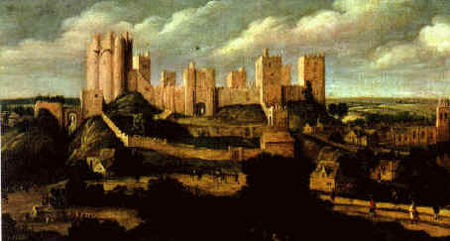 Richard of Conisbrough secretly married Anne Mortimer (Philippa’s granddaughter) sometime in 1406. The couple had married without parental consent, or the papal dispensation required due to their being 2nd and 4th cousins. The dispensation was finally obtained in 1408. Probably a love-match – Anne seems to have been as destitute as her husband. Born in December 1390 Anne’s family were close to Richard II; her father, Roger Mortimer, being seen as his possible heir until his death in 1398. Seen as rivals claimants by the new King, Henry IV, Anne’s fortunes changed in 1399 and she was described as ‘destitute’ after her mother’s death in 1405. The marriage of Anne and Richard produced 2 children; Isabella was born in 1409 and Richard, later Duke of York, was born in 1411. Not yet 21 years old, Anne herself died in September 1411, probably due to complications following the birth of her son. She was buried at Kings Langley, alongside Edmund of Langley and Isabel of Castile. 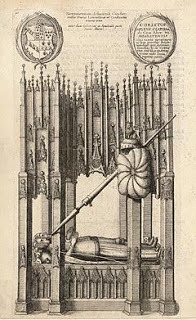 Tomb of Edmund of Langley, containing the remains of Edmund, his 1st wife Isabel of Castile and his daughter-in-law Anne Mortimer. Richard would marry as his 2nd wife, sometime between 1411 and 1415, Maud daughter of Thomas, 6th Baron Clifford and divorced wife of John Neville, 6th Baron Latimer. 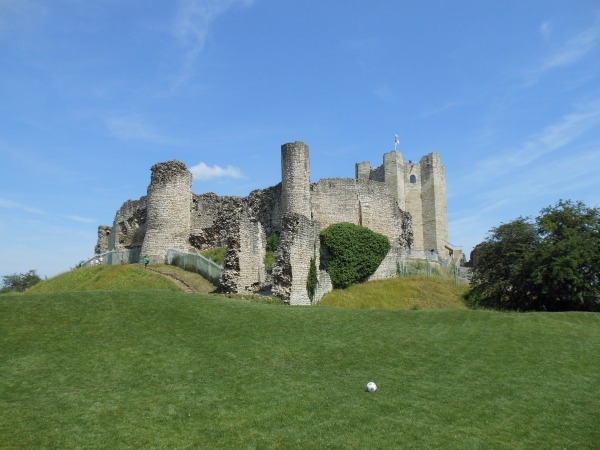 Following his death, Maud continued to live at Richard’s birthplace of Conisbrough Castle, dying there in 1446. Richard was knighted by Henry IV in 1406, probably with a view to his escorting Henry’s daughter, Philippa, to Denmark, for her marriage to King Erik. Richard’s stay in Denmark was short and unremarkable; he was back in England 2 months after witnessing the wedding. Little more is heard of Richard until he was created Earl of Cambridge in the reign of Henry V, in 1414. The earldom did not improve his prospects, as it came without the usual grants of land or revenue to support the title; Richard was thought the poorest of England’s Earls. Fuelled by resentment Richard of Conisbrough, Earl of Cambridge, began plotting with Sir Thomas Grey and Henry 3rd Baron Scrope. Their scheme was to murder Henry V and his 3 brothers at Southampton, before their embarkation for the invasion of France, and replace him with Richard’s brother-in-law, Edmund Mortimer, 5th Earl of March. However, it seems unclear whether March himself was in on the plot as it was the Earl who revealed it to the king on the 31st July 1415. Cambridge and his co-conspirators were quickly rounded up. Arrested as the ringleader and at just 30 years old, Cambridge’s honours and estates were declared forfeit. Despite pleas for mercy he was beheaded for treason at Southampton Green on 5th August 1415. He was buried in the Chapel of God’s House, Southampton. Although his honours were forfeit, Richard of Conisbrough was not attainted and his son remained his heir and was therefore able to inherit the dukedom of York, from his uncle Edward, following his death at Agincourt just 2 months later, in October 1415. The 4-year-old Richard, Duke of York, was made a royal ward. He was raised by the Nevilles, a powerful northern family, and would marry Cecily Neville, daughter of Ralph, 1st Earl of Westmorland. The combination of his York and Mortimer inheritances not only made the Duke of York the wealthiest of English landowners, but also gave him a strong claim to the English throne. As a result, during the ineffectual reign of his cousin, Henry VI, Richard of York made a play for the crown. His defeat and death at the Battle of Wakefield on 30 December 1460 meant he never became king, but his eldest son Edward took up the mantle and was proclaimed king on 11 April 1461, following his overwhelming victory over the Lancastrians at the Battle of Towton on 29th March 1461. With just a short interlude of 6 months in 1470/71, the Readeption of Henry VI, the Yorkist dynasty would rule for the next 24 years. Sources: The History Today Companion to British History, edited by Juliet Gardiner & Neil Wenborn; Brewer’s British Royalty by David Williamson; Britain’s Royal Families, the Complete Genealogy by Alison Weir; The Wars of the Roses by John Gillingham; The Wordsworth Dictionary of British History by J.P. Kenyon; The Oxford Companion to British History, edited by John Cannon; The Reign of Edward III by WM Ormrod; The Wars of the Roses by Martin J Dougherty; englishmonarchs.co.uk; womenshistory.about.com; findagrave.com; conisbroughcastle.org.uk; hrionline.ac.uk. Welcome to History... the interesting bits.